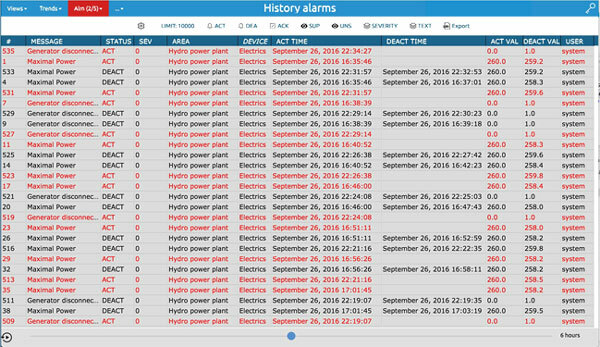 The mySCADA engine automatically (if not disabled) logs your alarms into history. Every alarm action is logged with all relevant data such as current time (precise to 1 millisecond). You can browse through the alarm history in the Alarm History window. Along with direct data browsing, you can filter your data based on the criteria. You can also export the alarm history into an XLS file.